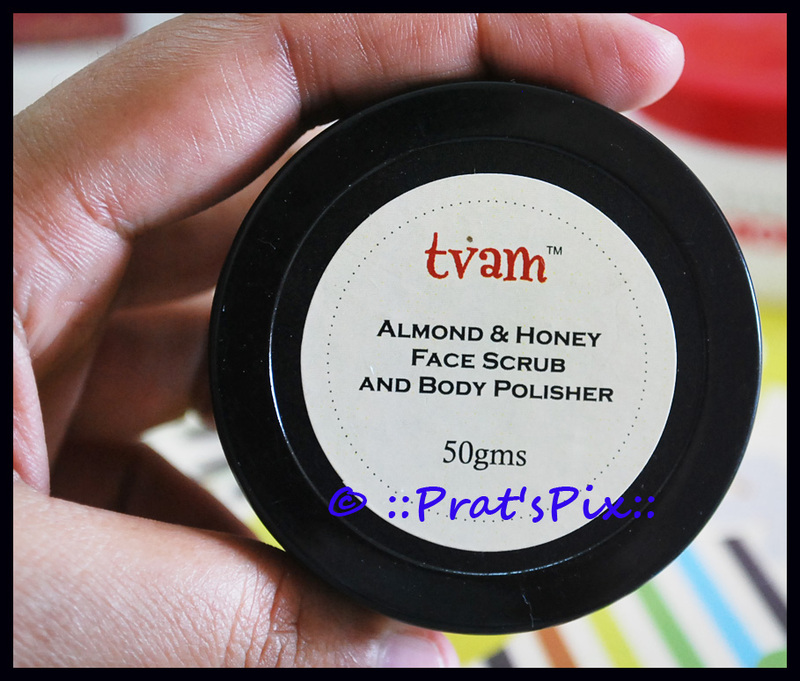 I’ve been wanting to buy a couple of products by Tvam for a reallylong time, but I never gor around doing it. I finally took that plunge and bought two products, Almond and Honey Face Scrub and Body Polisher and the Orange and Bergamot Face Wash. I’ll save the face wash for later and will review the Almond and Honey Face Scrub and Body Polisher today. Tvam does not have its retail stores, but it does have a presence in quite a few of the well-known online stores. 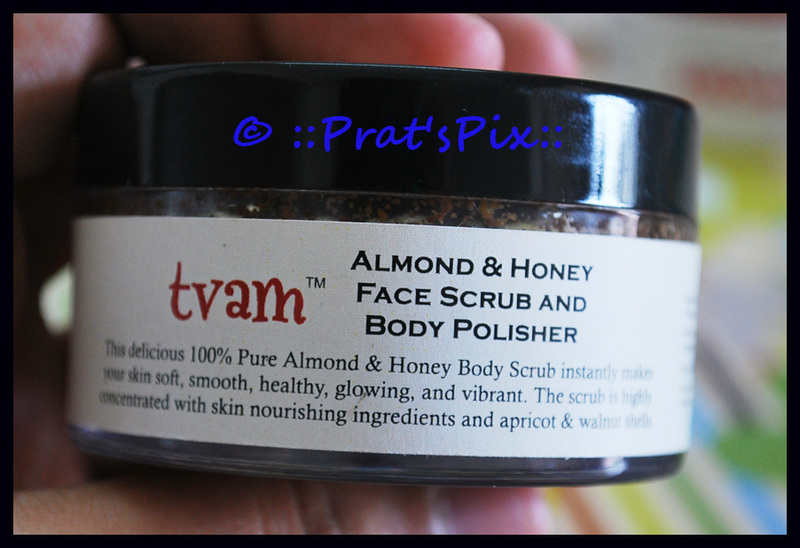 Most of the products from Tvam fall in the expensive category. The first fragrance that hits you is rose and the first thought that hits you is “Wow! Did I pay a bomb for just this much?” Seriously, I found the quantity less than the 50 gm that was supposed to be in the tub. I was looking into what looked like a half -filled tub of polish. I’ve used this sparingly. Very sparingly, if I can put it that way. You know, this doubles up as a body polisher, but I seriously would never-ever use this as a body polish. I’d be exhausting the product in less than two uses! 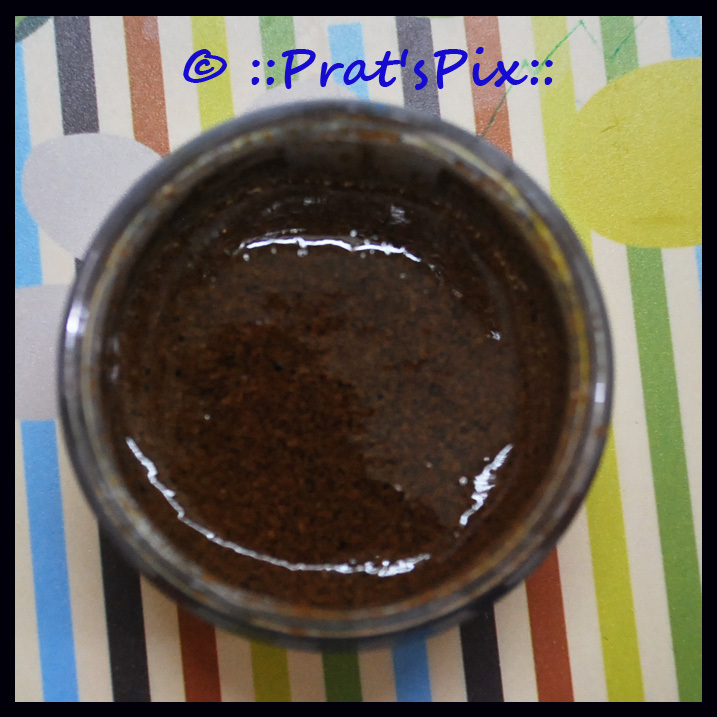 This face scrub has a gel like consistency and very fine walnut and apricot shells that aid in exfoliation. The only thing that I noticed post this usage was that my face was squeaky clean and it remained that way for a few hours. It leaves behind a nice fragrance of rose post wash. My estimate is that this jar should last roughly 20 washes. Packaging: It is packed in a small tub with a spill proof protection. 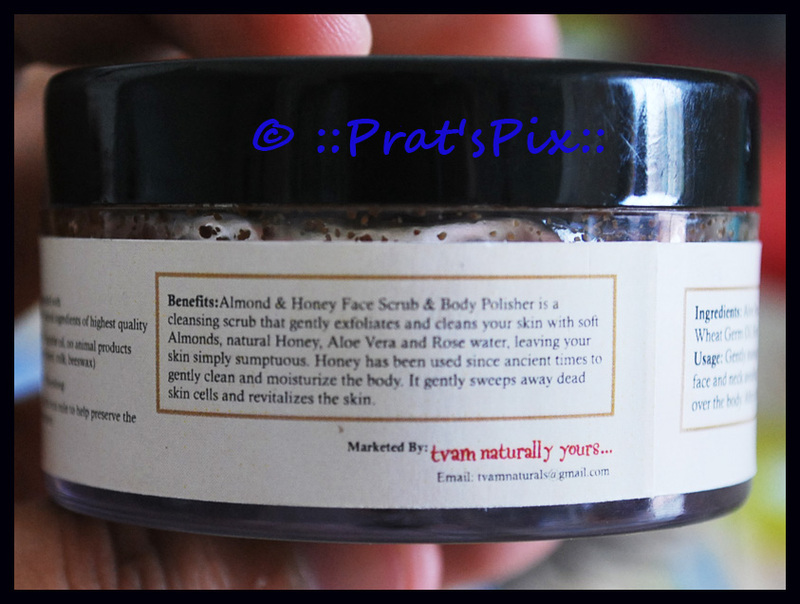 The packaging is very simple and the jar is quite sturdy. The spill proof attachment allows you to dunk it in your travel case. I am not sure if the packaging of a tube would have worked for this because I am sure a lot of the product would have been left unused. How to use: Gently massage with finger tips in a circular motion over damp face and neck avoiding the area around the eyes and also massage all over the body. After a few minutes, wash your face and body with water. Price and shelf life:Rs 561 for a small tub of 50 gms and this comes with a shelf life of three years from the date of manufacture. Where can I buy this? : I bought this on VioletBag. You can also buy this from Tvam online store. Will I recommend this? : If you are looking for value for money, this is certainly not the product for you. If value for money is not on your mind, go ahead and splurge on this one! I thought that this product was very over-priced! But then, that is my opinion. dead skin cells and revitalizes the skin. 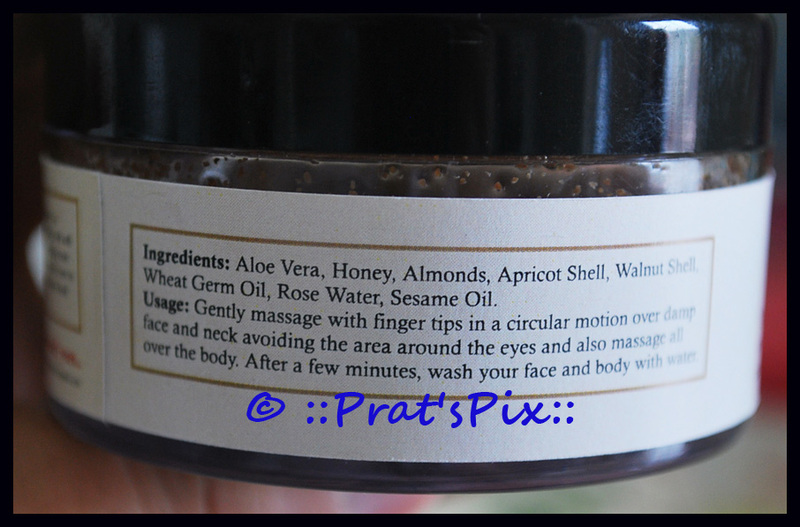 Ingredients: Honey, Almonds, Apricot Shell, Walnut Shell, Wheat Germ Oil, Rose Water, Sesame Oil, Aloe Vera Stabilized. The product is not bad, it is just superbly expensive! Expensive yet not so good. That is a thumbs down. Tvam is priced if not higher, the same range as FE. I have used three products from Tvam till now, two which I have already reviewed, and one sample that I got with the Velvette box. And I just threw that away because it smelt like an aftershave and so not natural! You know that was my perception 🙂 Maybe you should try something and see if it suits you!